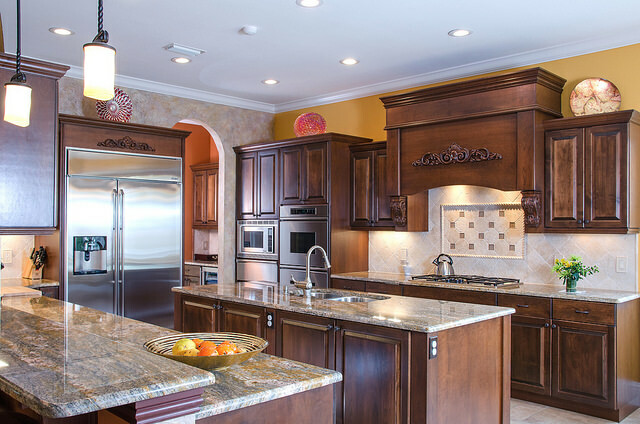 Most real estate agents in Atlanta will admit that updated kitchens and baths significantly increase the “sellability” of a home. Not only will it sell quicker but also for more money. We spend a lot of time cooking, eating and bathing. And having these activities in a nice, updated setting is simply a pleasure. Not to say that moving into a new home without the worries and thoughts of investing in updates is a positive thing for most home buyers. As a real estate photographer in Atlanta and Metro Area I could add that the first introduction to a potential home is done via photos or video tour that clients find on Realtor.com, Zillow or Trulia. 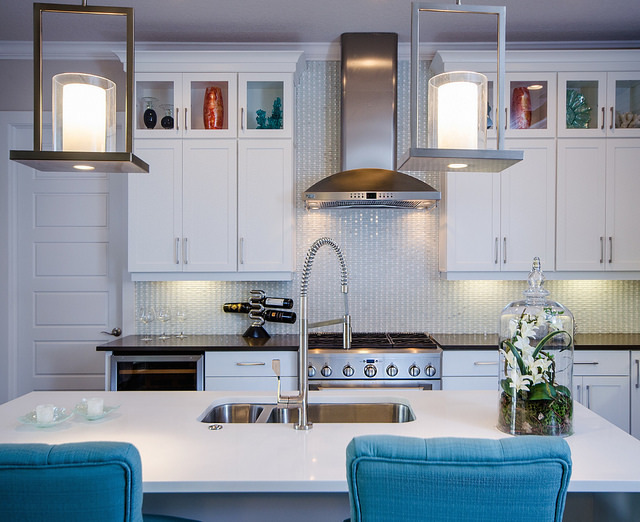 So when you have a new listing, will you make sure to showcase the important spaces correctly? 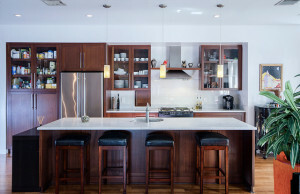 Kitchens are often small and require focus and good composition to present it properly. 1) I personally love straight on shots with high focal length. Meaning try to avoid using extremely wide angle lenses when shooting a kitchen. The bigger the focal length the more realistic the photo will look. Of course add a couple corner shots too. 2) Level your camera with the bottom of the top cabinets or slightly higher. Nobody cares to see what the cabinets look like underneath. Taking a shot from your belly hight might be appropriate for a living room but not for a kitchen. 3) You are selling counter space, so remove most of the objects from the counters, even coffee makers and toasters. 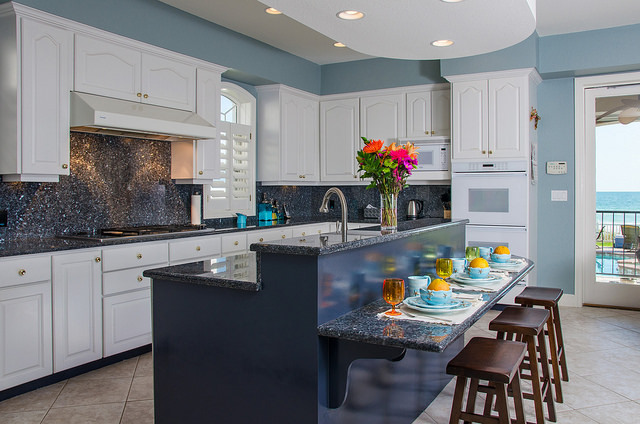 Trust me, the kitchen will look more spacious and easy for an eye to take in. 4) Got cabinet lights? Turn them on. Microwave light? Turn it on. 5) A small vase with flowers can work nicely, just make sure you don’t block anything important with it. You could also look in your fridge, find some fruit and place them in a bowl on your island or counter. The rest is your technical skills with camera settings and lighting. It’s all in your hands from here on! To get more ideas on how to take good kitchen photos visit my Kitchen Shots album on Flickr.